hold 5" x 7" (127 x 178mm) pictures in landscape format. 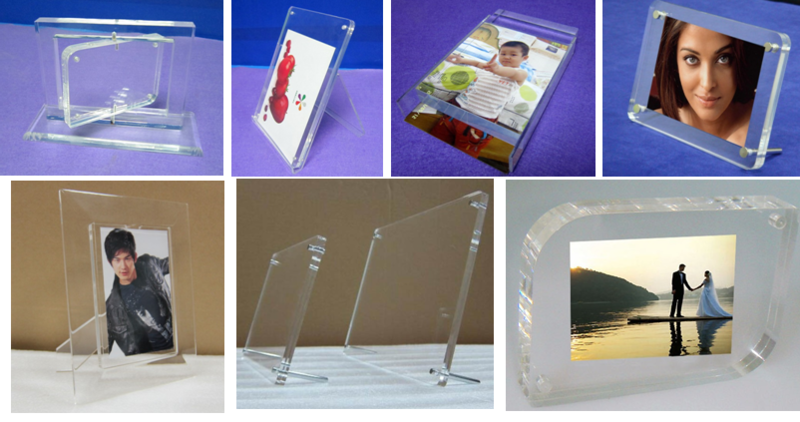 5" x 7" Photo frame features machined aluminium supports that are hand-screwed for easy changes. 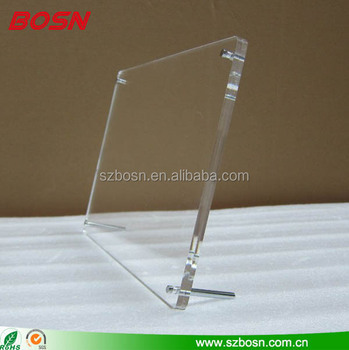 3mm thick clear acrylic with stylish beveled & polished edges. Easily can be placed on countertop or desk, with the unit angling to make it easier to view pictures.